Star Wars: The Last Jedi is just months away and, of course, that means tons of new toys and memorabilia to collect. For those who missed the opportunity to collect everything and anything Star Wars: The Force Awakens, Hasbro is currently running a 50% off promotion on some of their best Star Wars toys, figures and collectables. 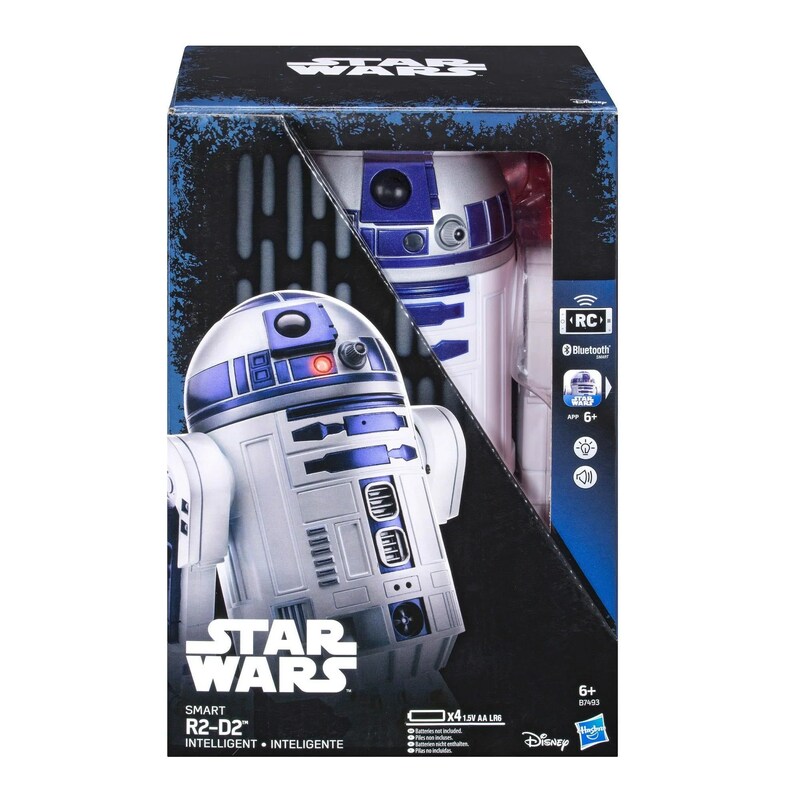 Plus, they are giving three lucky readers the chance to win one of these really awesome Smart R2-D2 droids. The force is strong with this one! 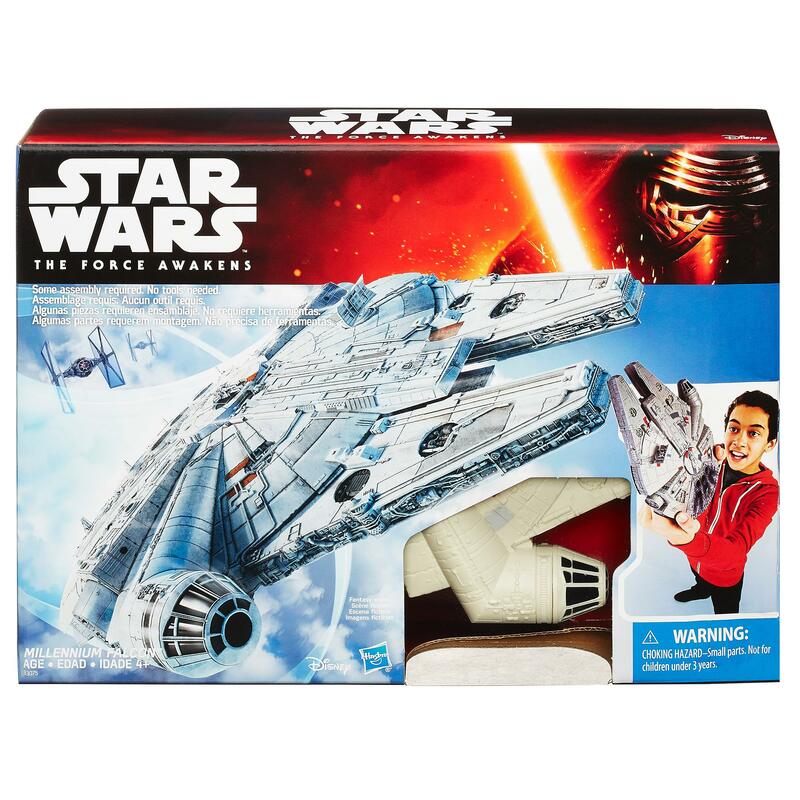 Join the exciting world of Star Wars and recreate the battles at home with these exciting Star Wars: The Force Awakens accessories. Take the opportunity to own Star Wars memorabilia from Season 7 with a 50% off promotion currently running at select retailers including; Checkers Hyper, Pick ‘n Pay, Hamleys, Toy Zone, Toy Kingdom and Lilliputs, while stocks last. A loyal and dependable Astromech droid well-equipped for starship repair and computer interface, even after decades of service, R2-D2 continues to be full of surprises. When the battle to take back the galaxy demands the precision and advanced technological capacities of a droid, there’s no better Astromech co-pilot than R2-D2. With the Smart R2-D2 from Hasbro, you can imagine sending R2-D2 into the fray of epic intergalactic battles. With app-controlled movement in all directions, Smart R2-D2 is a mobile droid, able to communicate and explore! Use the Hasbro Star Wars Smart R2-D2 app to send Smart R2-D2 on exciting missions, and even program him to follow routes – just don’t steer him into an asteroid field! Smart R2-D2 plays and dances to music and makes authentic droid sounds, so it’s never a dull moment when this droid rolls into the space station. Heroes, villains, droids, starships, space vehicles, and creatures! Discover the exciting stories of good versus evil in a galaxy far, far away with these Electronic Lightsabers from Star Wars: The Force Awakens. Launch into action and adventure in the world of Star Wars. Discover the exciting stories of good versus evil in a universe of heroes, villains, and aliens. 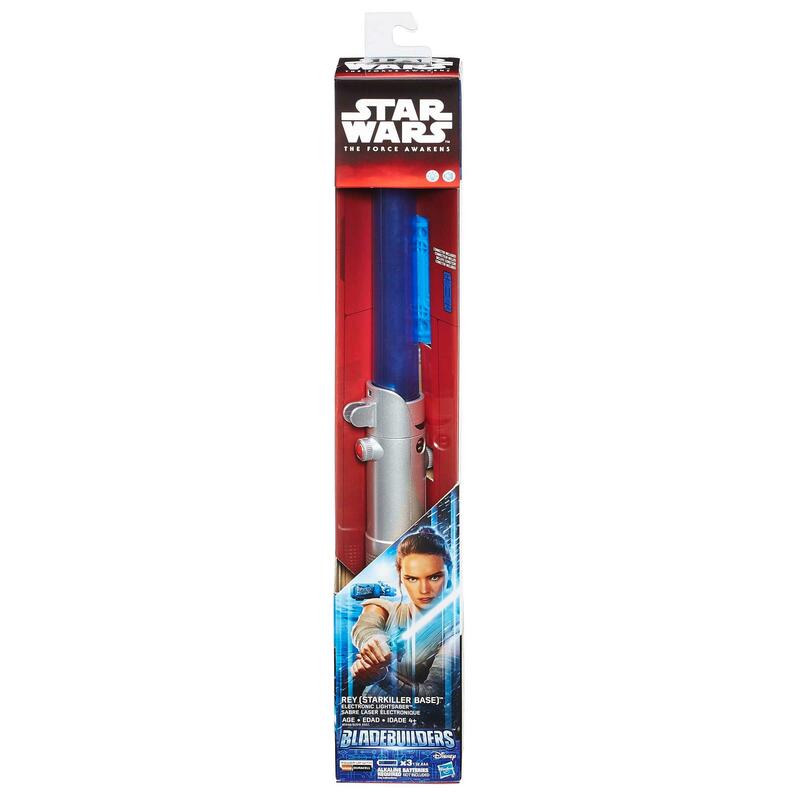 Imagine what it’s like to battle as your favourite characters from Star Wars: The Force Awakens with these Electronic Lightsabers that extend for duel with just a flick of the wrist as movie-real light and sound effects propel you to victory. Get creative with BladeBuilders for a customized lightsaber experience and re-live the most exciting moments from Star Wars: The Force Awakens. Imagine being at the centre of the greatest space battles in the universe with this vehicle from Star Wars. Its famous pilot made a number of personal modifications to the Millennium Falcon to ensure he and his cargo always had the option of a speedy escape. Imagine galactic adventures with this Millennium Falcon vehicle and recreate epic moments from the Star Wars universe. Play in the world of Star Wars: The Force Awakens, creating new stories of danger and excitement with the Millennium Falcon. Pairs with Star Wars action figures (sold separately). With 12-inch scale figures from Star Wars, imagine recreating amazing and memorable scenes from Star Wars entertainment. 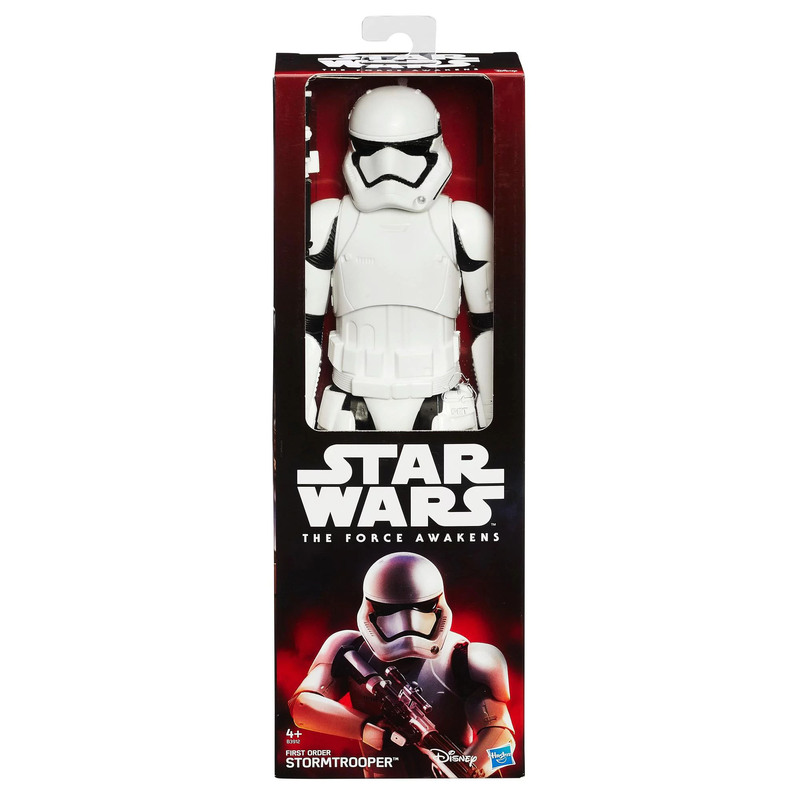 Each figure is inspired by an iconic Star Wars character and features detailed design. Figures include character-inspired accessories and feature multiple points of articulation for posable action and fun. At a towering 12 inches, these figures are great for imagine giant-sized battles and adventures. To stand a chance to win this awesome droid from Hasbro, all you need to do is tell us one of the unique features of the Smart R2-D2 – in the comments section below. The Giveaway/Competition closes Friday – 1st September 2017. App-controlled movement in all directions! app controlled movement in all directions. He can dance to music. He is already miles ahead of some of my more mobile friends. Get down R2D2! Smart R2-D2 plays and dances to music and makes authentic droid sounds. The app-controlled movement, program him to chase after the dog. Help my Puppy-Wan Kenobi, you’re my only hope! He freaking dances! Like happy R2 from the movies! That is the best feature ever! Answer – why pick only 1? App-controlled movements and easy character recognition are my top ones! The character face recognition feature looks awesome. I want this sooooooo bad. App-controlled movement in all directions. I love the character recognition feature! It’s so awesome to see R2 react differently to the many characters of the Star Wars universe. I can’t wait to hopefully be able to play around with that feature for hours if I win! Because it s freaking R2-D2 and he is epic oh you mean the one in the video above, well the hand and voice commands along with that epic cantina music.